This year we have been exploring idea of extended reading and having children make meaningful connections beyond the book. (Check out our Extended Reading category on our blog to see some experiences we have offered so far.) We brought our classes together to take on a Collaborative Literacy Extended Reading approach. With the connection of kindness in mind, 5 books (3 from New Jersey and 2 from California) were shared with messages from the authors. Kindness promises were stemmed from the authors’ messages, and together a Kindness Promise among our two classes was created. 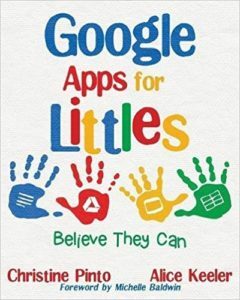 We utilized a collaborative Google Slides to help us facilitate this experience for the kids. 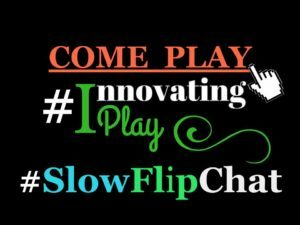 This idea and more details are shared in Jessica’s screencast that was shared on the Innovating Play #SlowFlipChat. Jessica created a screencast on the creation of our kindness promise (among other goodies) by reviewing the content that we shared with our families via our Google Site. We are sharing the items in the screencast below in the rest of the blog post. 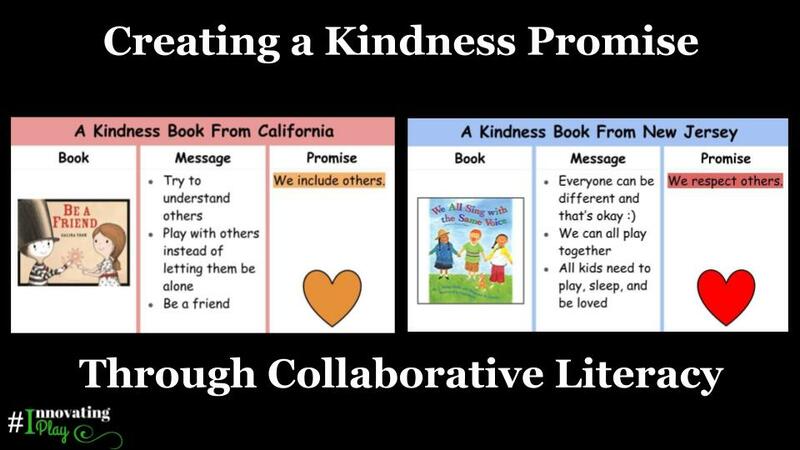 Below we are sharing our a template version of Our Kindness Promise book slides, so that you can customize them and put the content from your own class discussions in them. We are also sharing the writing paper that we had our children use to illustrate and write down the promise. Connected Play starts our day, as students engage in centers that revolve around connections for that week in class. 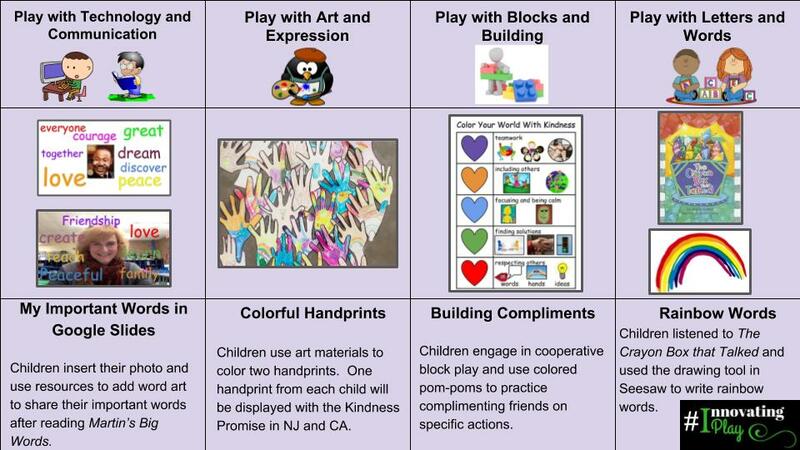 You can learn more about how we facilitate Connected Play in this post. The week of the Martin Luther King Jr. holiday, our learning was connected to kindness. The above play board can be found at the following link and contains resources that we used!